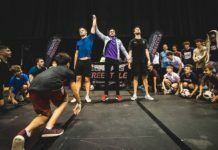 Reigning Irish champion Conor Reynolds is one of the more respected names in freestyle, having both participated in and judged some of the world’s most prestigious competitions. At 23 years old, he continues to take his game to the next level, thanks in part to his uptempo and intense playlist of UK grime and hip-hop. If you’re a freestyle junkie that can’t get enough lowers — whether it’s watching or actually doing them — chances are you’ve seen or at least heard of Conor Reynolds. 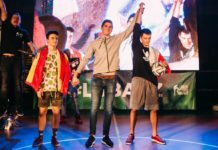 The 23-year-old Irish champion’s Instagram page is loaded with wicked combos, and he’s well-respected throughout the freestyle scene as a lowers savant. 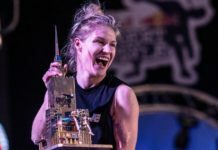 In addition to his national title, some of Reynolds’ accolades include a second place finish at the 2018 Lubasz Freestyle Night’s challenge competition and a third place finish at the 2017 Atlantic Freestyle Football Open. Reynolds’ playlist is enough to get just about anyone going, and while nothing’s set in stone for the young Irish freestyler, we can expect more good things to come if he keeps up his solid work ethic. Stay up to date with Conor’s freestyle journey by following him on Instagram, and check out the rest of our Freestyler’s Playlists here. The Mental Side of Freestyle, Part II: How Do We Learn A Skill?